Growing up in one of the poorest areas of the country is not all bad, but quite simply there is not enough for young people of all ages to do. I live in Halcon, Taunton, which is in the poorest 5% of the UK. The local council has highlighted our area as one which needs improvements for young people, yet I do not see this happening quickly enough. With the help of my friends Jonathon Monger (21) and Eden Cooper (20) I'm making a film to show the council what our area is like, and how little there is for young people to do. There are youth clubs, but these often turn people away who are aged over 18. The council have pledged money to our area, but we want to show them where to use their resources to create something young people want and need. This is why we are making this film - to show councillors and the local community that a youth centre, supplying leisure and educational activities, will improve the estate and stop young people loitering on the streets. The team at Holway Youth Centre support our project. One of the youth and community workers there put us in touch with Fixers. TDBC has backed our Fix. John Williams, Leader of the Council, was shown our film and agreed to be interviewed to appear in our broadcast piece. We had support from the team at All Saints Church during our Fixers project. We were able to hold a screening event to show our film at the church hall. Ky has supported our project. He helped with setting up for our screening event, then cleared away afterwards! Lesley has been very supportive of our Fix. She is keen to help us secure facilities for over 18s in our area. We officially opened our drop-in centre on Monday 24th March at The Link Centre in Taunton. It will be open every Monday and Wednesday evening between 6:30 and 8:30pm. If it proves to be a success we will consider opening more frequently. Young people attending can relax, talk and interact with others in the area. The plan is to offer free training to those who come along so they can improve their CVs and boost their job prospects. Click here to read more about the opening and our plans for the future of the drop-in centre. We’re really excited to finally have opened the centre and although it’s been hard work getting this far, it’s definitely been worth it! We tried songwriting during one of our first sessions. My Fixers campaign won the Kids Count 'Most Inspirational Campaign' award at a ceremony in London. Fellow Fixer Jonathon and I met with Jeremy Brown, MP for Taunton Deane, to discuss our drop-in centre. We had a successful screening of our film, with many members of the public and a good number of councillors in attendance. As a result of our lobbying, Taunton Deane Borough Council have approved full funding for a six-month pilot scheme for the drop-in centre! Following our broadcast and creative pieces, our story was featured in the Somerset Gazette (print and online edition). We've had great feedback and support from people who have seen our broadcast and campaign. Filming for our documentary began in Taunton. 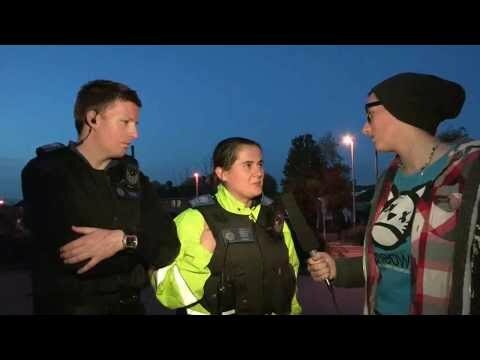 We filmed lots of scenes in our local area, highlighting what needs improvement. We also spoke to local residents, police officers, and the local council for their views on what can be done to improve provisions for young people.